← Tales of Terror contest finalists! As promised, after a couple of days of deliberation by our judges (the Protagonize moderation team), we’ve managed to decide on the winners of our inaugural 2009 Tales of Terror competition. From the six finalists we had listed previously, we were to select one story as the Editor’s Pick for this week, and the second story’s author would be the Featured Author. Wouldn’t you know it, while we had a nearly unanimous 1st place winner, we managed to deadlock on the 2nd place finisher. So, I’ve decided to have three winners, instead. Due to the mature nature of Faltarego’s post, he’ll be our Featured Author this week, as with Jack next week, and Irrefutable Evidence will be our Editor’s Pick. As for prizes, I will have those contest winner badges ready for you guys by the end of this week — I’m in the process of showing my house and it’s a little hectic trying to get any work done there, for now. I’ll notify all the winners when the badges are ready! Congratulations to our winners and thanks again to everyone who participated. We’ll be running these contests regularly, now that I’ve seen what the participation and reaction is like. Keep your eyes peeled for the next one — we’ve already got a spiffy prize ready to go! This entry was posted in Collaborative writing, Contests & Competitions, Editor's Picks, General and tagged announcements, competitions, contests, winners. Bookmark the permalink. 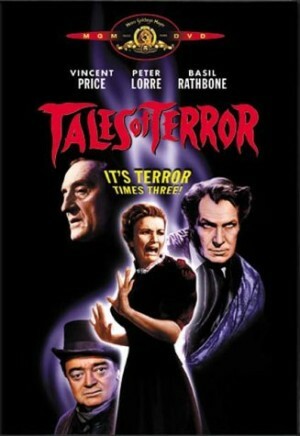 3 Responses to Tales of Terror contest winners! This blows my mind. Many thanks to the mods. And the voters. And the academy. And Ryan Seacrest. Muchos gracias, muchachos y muchachas. Eric, you forgot to thank your mamma. i should think that she’d be included in there somewhere. maybe after Ryan. Congratulations to Eric – a worthy winner (with somewhat of a landslide victory) and to two great runners-up).